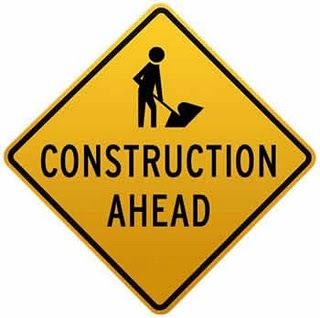 Summer can mean only one thing….road construction. As I creep up to, yet another, sign holding, brightly clad, hard hat wearing worker, my mind races to the amount of precious time I am wasting. I sit in my car. I scroll through emails. I mindlessly change the channel on the radio. I am too easily distracted to bring a book along for the marathons of delays. I don’t want to miss anything interesting going on outside my little car’s windows. So I sit. Please don’t get me wrong. I am eternally grateful to all the hard working women and men on our country’s roads. I respect them for the intense work that they do. I know in the end of it all our travel times will be improved and all will be right for this travel enthusiast. But right now trying to be patient, trying to envision the light at the end of theses road construction delays, is very difficult. Don’t get impatient. It is so easy to loose your temper when faced with long delays. Try to play soothing music or practice deep breathing. Or map out your destination to avoid construction all together. Put a smile on your face. I have said this before, it is impossible to remain angry when you are genuinely smiling. Think of all the blessings in your life and take the time to smile. Besides everyone else will wonder what your smiling about. Curb Road Rage. I’m not going to say anything else on this except it is irresponsible to use your vehicle for your anger outlet. Slow down. Obey the speed limit signs. Reducing your speed increases your reaction times. Expecting the unexpected in construction zones is a must. Remember this too shall pass. Figuratively and literally. The construction/destruction will not last forever and when all is said and done your future travels will be much smoother. Road trips are one of my favorite modes of travel. I will continue to adventure on the open roads but rest assured it may take me a little more time. Which I will be thankful for so I can slow down enough to enjoy the world around me.